STAINLESS STEEL SMALL FLAT CURB LINK NECKLACE. Material: Solid 316 Stainless Steel. 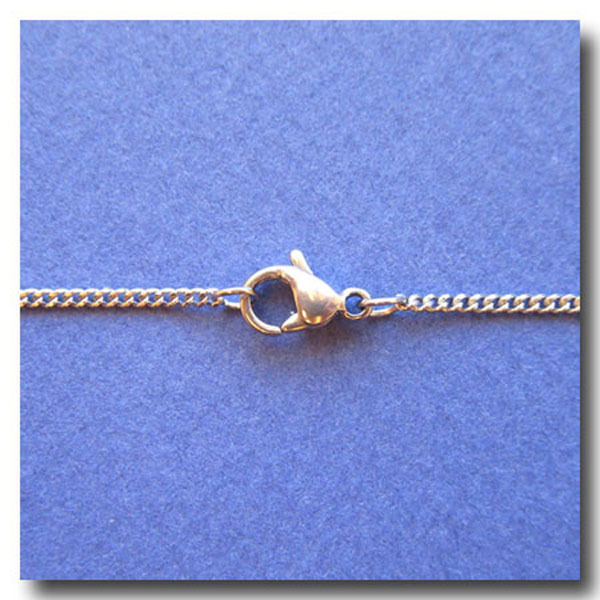 Clasp: Stainless Steel Lobster Claw Clasp. Length: 18.5inches. Style: Small Curb link chain. Weight: Light. Width: 1.5mm. 316 Stainless Steel Series offers superior tarnish and corrosion resistance.